Shraddha Arya is an Indian who was born on the 17th of August, 1987. She attended a Delhi university where she obtained a masters degree in Economics. She began her acting career with ‘India’s best cinestar ki khoj’, a talent show hosted by Zee TV in 2004. She also played her parts in Telugu and Tamil movies. Shraddha rose to fame with her role as Ayesha in ‘dream girl’s serial and she became more popular with her role as Paakhi in ‘tumhari paakhi’. Apart from acting, she is an host. She has also received numerous awards in the entertainment industry. 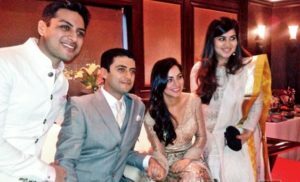 Shraddha Arya also known as our kind-hearted Paakhi got engaged to Jayant Ratti in 2015. But, they broke up after a while which Shraddha talked about in a recent interview. According to bollywoodshaadis-“I had got engaged to a guy through an arranged marriage set up but it didn’t materialize. As time went by, our relationship hit a rough patch which took a toll on us” Shraddha said. Shraddha Arya plays the role of Preeta on this is fate. Preeta is a sweet and kind physiotherapist. Unlike her sister, Preeta has the traits of Pragya and respects their mother despite being through alot. Shraddha Arya composes an emotional poem, urging people to believe in women. In a #Metoo movement, Shraddha has raised her concern over how women should receive strong support from society. Tumhari Pakhi, kumkum Bhagya, Dream girl, Kundali Bhagya. Shraddha Arya is currently playing the character of Preeta Raghuvir Arora in ‘kundali bhagya’ airing on Zee TV. She is playing a lead role along with Dheeraj Dhoopar and Manit Joura.